Step 1 – To create a new Portfolio Grid page navigate to your WordPress Admin >> Pages and click Add New. Step 3 – Save or publish the page, by clicking the appropriate button in the top right of your screen. Step 4 – Under the visual editor you should see a Portfolio Options box. 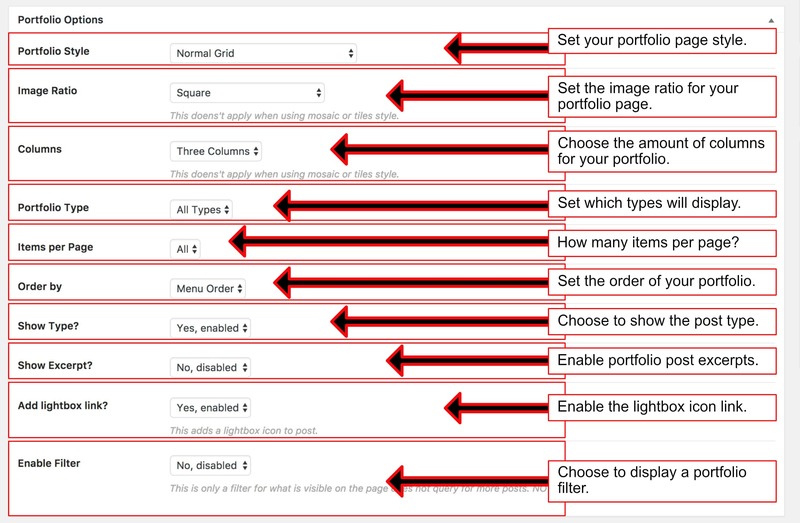 There you can set the options for your Portfolio Grid page.